Visit our sister site AniTAY for all of your anime needs in one convenient location. Tonight’s Topic: Flipping a House Seems Pretty Easy, Amirite? .... you know, the kind of dwelling where, should you decide to cohabitate, you would probably murder your loved one within 90 days. After scrunching my chipmunk face up in horror and disdain for the next ten minutes or so, I got to thinking ... yes, okay this *particular* idea is 100% nutters, but who among us has not watched HGTV and formed some bizarrely strong opinions about home renovations and decor? I mean, I am ... so, so many (ewww depressing) years away from even thinking about purchasing real estate, but thanks to a healthy diet of tidy, glossy home improvement shows I am 100% certain that I require an ensuite master bathroom and walk-in closet, hardwood throughout, a healthy-sized kitchen with a farmhouse sink and quartz countertops (marble: so overrated), sleek, modern-ish decor, and if anyone so much as utters the phrase “open concept” I am OUT. You see?!?? This ... why do I even have opinions on this? Bizarrely strong opinions?? FFS, who feels strongly about countertop materials?? 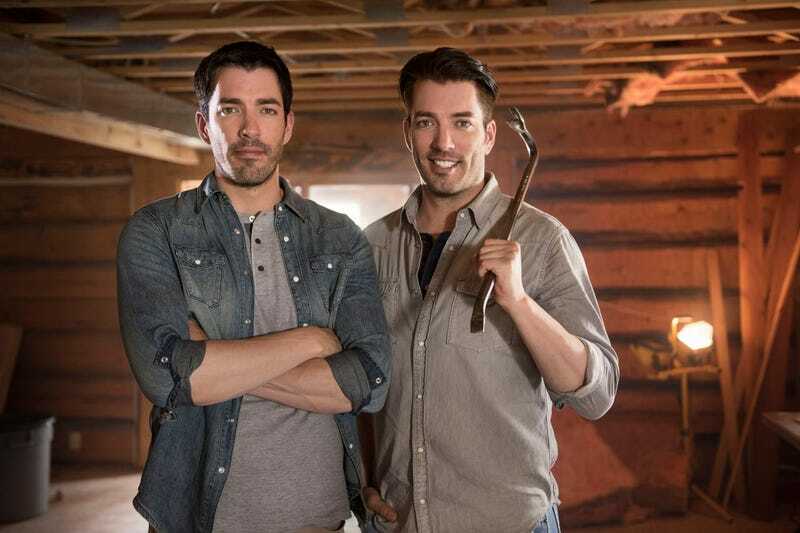 HGTV: This Way Lies Madness. Okay so I’m not the only one who has ~very specific~ ideas about what their perfect dwelling would be like, right? I know you do, don’t lie to me. If you could create a place to live that was 100% your own, what would it look like? Have you ever taken on a home project that got way out of hand? (Anecdotes please!!) Most importantly, what are your thoughts on tiny houses??? I need to know! I mean ok fine open forum, talk about whatever you want obviously, but seriously those people who pay like $200,000 for a gussied-up shipping container are pretty much the worst, right? At any rate, the Graveyard Shift is now in session!